Goodbye to the Southwestern Desert, Hello Sedona, AZ! As the spring heat closed in on the Arizona desert, it was time for me to move to higher elevations and cooler temperatures. As I left Ehrenberg for the last time this season and headed north toward Sedona, I contemplated my route: I could take the ‘easier’ Interstate route, or the windier, slower backroads. Interstates bore me, so I decided the extra 26 minutes Google said it would take, would be well worth it. Plus, I’d get to explore real towns along the way, not overly engineered and architected Interstate truck stops and rest areas! With a quick glance at the Google map, I noticed the yellow lines of highway 60 to Prescott and 89a from Prescott to Cottonwood were quite squiggly in the green areas marking National Forests. Oh well, I’ll have some mountains to climb! I’d spent my first several months as a full time RVer driving all over the Sierra Nevadas, I’d driven Hells Canyon in Eastern Oregon and many other mountain roads, those squiggly mountain passes looked unthreatening. How bad can they be? I’d heard from a friend that the length limit was 40 feet– I’m just 29 feet. Piece of cake! “Piece of cake”, famous last words, right??? As my RV labored up the first pass, leaving the ninety-degree desert floor, germinal with the first delicate signs of super-bloom, behind, I spotted the first real tree I’d seen in four months. I was so enraptured that I considered stopping to give it a giant bear hug. I might have if it wasn’t in someone’s yard. I thought twice and realized a tree-hugging Rver with a duct tape repair job and California plates may not fare well, trespassing in Arizona: I resisted my urge and moseyed on. Matilda trudged up the windy mountain road through Prescott National Forest. 4000 feet. 5000 feet. 6000 feet. The Chaparral grew bushier and the Piñon Pines and Juniper taller. I was in the forest!!! Ahh. Hello Forest, I’ve missed you! I rolled down my window and inhaled the crisp winter air. And as the musty aroma of conifers and damp forest permeated my senses I felt my face erupt in a spontaneous smile. I’m home! As I ascended to 6000 feet, I felt a marked drop in temperature. It was at least 15 degrees cooler than the desert I’d left just an hour earlier. I grew concerned that I’d jumped the gun on my “great desert escape’ as I eyed snow dusted peaks just above me. Maybe it is too early to go north. Maybe I’ll get stuck in a snow storm. Maybe I’ll freeze! The doubt only thickened as I passed dirty patches of snow stubbornly clinging to the sides of the road, desperately holding their place in the late winter landscape. Well, I’m not turning around to fry in the ninety+-degree heat in the desert. Forward…! I’d hoped to spend the night in Prescott, but it was Saturday and the historic city was busting at the seams with tourists. In the outskirts of town, the Prescott National Forest was laden with California-like rules and regulations about where you can camp. Camping is only allowed in designated campgrounds; which were full. One of the things I’ve learned in my first season as a snowbird is that winter in the south is treated like summer is, everywhere else. The summer months are too hot to leave the comfort of air conditioned homes, so people flock to enjoy the outdoors in the winter, when the temperatures are tolerable, making it impossible to avoid crowds at the popular tourist towns, hiking trails, parks and campgrounds during winter months. Prescott, AZ served as the capital of the Arizona territory until 1867 and currently has a population just under 40,000. 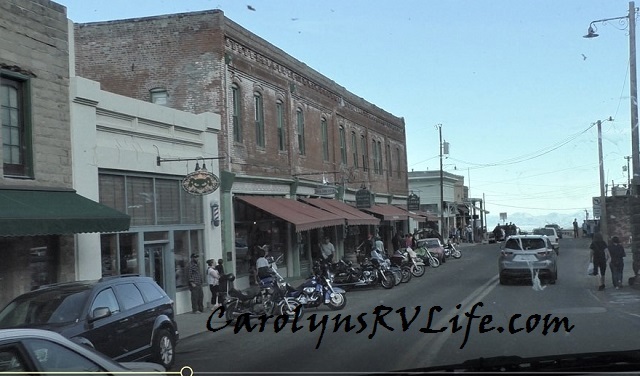 Its rich history (which includes a stay by Wyatt Earp’s older brother Virgil in 1879) and a quaint old-fashioned downtown, packed with touristy shops and cafes, attract visitors from all over the country. If it wasn’t the height of tourist season and I wasn’t in a 29-foot RV, I might have gotten out and explored. 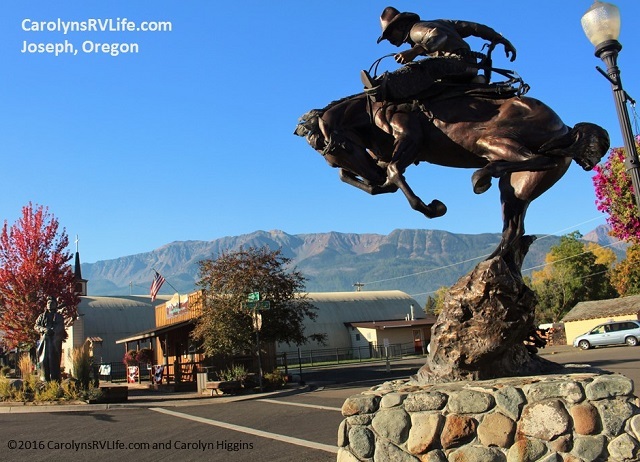 Unfortunately, the narrow streets of old-west mountain towns are not conducive to driving- and especially parking – giant RVs. So, on l went; next stop Cottonwood! I’d heard of many fulltime RVers and VanDwellers going to Cottonwood. Surely there’s bound to be plenty of camping there! Up another narrow, squiggly pass and back down again. My new front brakes were emitting burned brake smell and smoke billowed out of the nose of Matilda. “That’s normal. Flash told me that would happen,” I told myself. Down and down and down I went in my 12,000 pound steel box on wheels. My brake pedal got spongier every time I pressed the brake. More smoke and more rank odor of burning break pad filled my cab. I started to get nervous. Will my giant, heavy, barreling-downhill-RV stop when I need her to? I slid my new, still-to-be-tested-in-rough—conditions, transmission into low gear. Ok, that’s better, at least I feel like I have more control. Just as the majestic red rock of Sedona came into view, thousands of feet below, the white smoke became even thicker. I was too nervous to go on. I pulled over, inspected underneath, and confirming that it was my brakes causing the smoke and not something else, I thought it best to sit and let them cool off before proceeding down the second half of the 6000 foot mountain. I pumped the brakes and noticed the sponginess was dissipating. “That’s a good sign”, I thought. After sitting for about thirty minutes, I decided to press on. I slowly exited the turnout, and in low gear, proceeded down the pass at 20-30 mph. Being in low gear slowed me enough to not make the descent treacherous, but my heart pounded as my now-white-knuckled hands clutched the steering wheel. One of the thoughts I had, as I glanced at Capone laying innocently in the passenger seat, is that I need doggy car seat so I can strap him in while we drive. 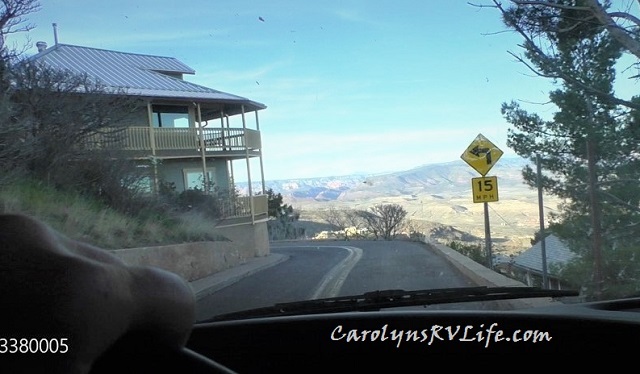 The thought of anything happening to my clueless copilot was too much..
As I spilled closer to Sedona, I drove through the tiny mountain micro-town of Jerome. If I wasn’t so stressed I might have actually enjoyed the historic town, etched into the side of the mountain. It reminded me of some of the hilltop towns I drove through on my trip to Greece a couple of years ago; tiny narrow streets carved into rock, framed by houses and tiny shops. In Greece, I was in a small compact car, not a 29’ RV, which admittedly, made it more enjoyable! I’m really thinking I need to downsize! As I gingerly maneuvered through the crowds of tourists licking waffle cones and converging outside of historic taverns and eateries with names like the Haunted Hamburger, Mile High Grill and Asylum Restaurant, I kept testing my brakes to be sure they weren’t giving out. They were spongy again, but were definitely slowing me down. I finally made it through the crowds in Jerome and began my final descent into Cottonwood. A slow and tedious eight miles at 30mph with no turnouts to let the growing line of cars behind me pass. As I neared the edge of Cottonwood, one angry follower in a giant Ford pickup truck crossed the double yellow line to pass me, waving the middle finger salute as he passed. Excuse me for inconveniencing you in my pursuit to stay alive! His action made me ponder my own impatience: I used to be that person! Always in a hurry, always cussing the slow people in front of me, “how dare you not consider ME! How dare you hold ME up!” Driving an RV has taught me, not only how to slow down and enjoy the journey, but in that moment, when that man aggressively raced past, flipping me the bird, I realized it also showed me how easily we get caught up in our own wants and needs and don’t stop to consider what someone else may be going through. 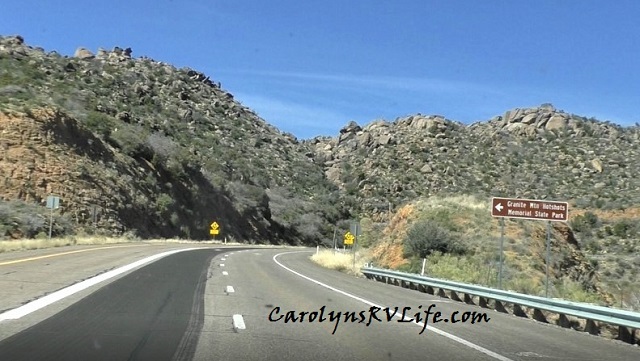 When I tailed an RV on a windy mountain road, I never considered their safety and comfort; all I cared about was getting to my destination five minutes sooner! I’ve contemplated this before; in our fast, anonymous world, we encounter more strangers than at any time in history. Nameless bodies, we pass on the crowded streets, blurred drivers whizzing past us on the Freeway, or faceless people we flip off and fly by on a windy road without a thought to the person behind the wheel and what may be going on with them. My Bird Flipper hadn’t even considered that I was frightened for my safety, my dog’s safety and the safety of everyone else on the road. If he’d known that, would he have been more patient? Kinder? Waving, instead of gesturing profanity at me? I wonder. (I realized, I probably should have turned on my hazard lights… lol). By the time, I entered Cottonwood and the endless annoying traffic circles, the brake pedal sunk all the way to the floor and I was barely able to stop. After sliding into at least one circle a little too close to a passing car, I exited, pumped my brakes a few times and voila, they were back; firm, and strong. I pulled over anyway to let them cool off a bit. They’d stopped smoking but the noxious fumes were still strong enough to give me a headache! Back on the road, with a firm brake pedal once again, I drove north on 89a exploring a couple of forest roads along the way for a campsite, to no avail. I wasn’t in the desert with sprawling, flat, BLM land anymore! The off-road sites big enough for Class C RVs were few – and occupied. So, I’d bumble back onto another rutted/wash-boarded dirt road, keeping my eye out for the next one, as the sun slid toward the western horizon. Now I was racing against the clock. Finally, I pulled into Dear Pass Trailhead, one of the campsites.net recommendations. It was packed! I followed the dirt road (Angel Valley Rd), deeper into the red-tinted mountains to see if I could find something away from the crowd. The rutted narrow dirt road coerced me further and further with the promise of open space in which I’d find a spot big enough for Matilda. There were a few campsites, but they were all full to the brim with trailers, vans and tents. Darn! Angel Valley Road was harrowing, to put it mildly, and as I propelled down yet another steep and narrow road, I had to ask myself how I kept ending up in those situations; do I have a secret death wish? I just had brake issues and there I was on another steep downhill slope. I had to wonder… But in all fairness, how could I have known? And it’s not like I can just turn all 29 feet of Matilda around anywhere. I was committed, so down I went. I ended up at the entrance of what looked like a private community or commune of some sort. (I now know, it was Angel Valley Sedona, “a sacred retreat community for healing, transformation and empowerment.” If I’d know that at the time, I might have stopped. Looking at their website, it may have been the serenity and peace I needed at that moment! Check them out here). Some say there are no mistakes, maybe the universe sent me there for a reason!). It was a dead end- but at least a place to turn around! So, back up the bumpy steep road (in low gear) and back to route 89a, I went. Cottonwood was a bust. I guess I’m going to Sedona! As I drove into Sedona, Mother Nature’s grand architecture rose from the earth before my awestruck eyes. Wow! Just wow! The sun had barely set and the full moon hovered over the rust-imbued landscape giving it an other-worldly glow. Night was settling in quickly and the last thing I wanted to do was search the treacherous, narrow roads in the dark. After exploring a couple of forest roads and nearly getting wedged into a narrow place, I finally settled on a large flat-ish spot on a forest road about 5 miles out of Sedona, just off the busy 89a. It was 7:30 pm. My 3 ½ hour drive had turned into 8 ½ hours. I was DONE. I settled in, getting my rig as level as I could, leashed up Capone and went for a much-needed moonlit walk to exercise out some of the day’s stress. It felt good to be back in the forest, among the trees and the brush. There’s so much life! The bats bobbed above as they dined on insects, the birds chirped and sang their last tunes of the day before settling into their safe nests for the night and critters scurried in the brush at my feet. The moon cast enough light to see the ground without a flashlight; and I kept my eye out for rattlesnakes. As I drifted off a feeling of peace and gratitude warmed me; it was a good day. I was content in knowing that every day I’m not rotting away in an apartment, passing the time on junk-tv and dreaming of freedom, is a good day! I felt happy to be alive – really alive! 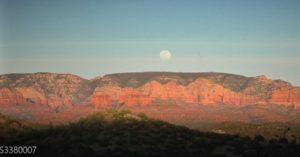 Share: Goodbye to the Southwestern Desert, Hello Sedona, AZ! I’m a Full-time RV Snowbird in Arizona and Nevada! I am really enjoying your blog and videos on Facebook, You have a way with words. If I were 20 years younger I would be out there too. Keep on sharing. Thank you for your honesty and I admire your courage, I was lucky to have lived in Minden, Nevada just below Lake Tahoe for a few years and I never felt better in my life. In AA they talk about getting sober as becoming ‘happy, joyous, and free’. Take care. Just an adventure you have had. Read some of you blog pretty darn cool. I will be doing this in two yrs or so. Yeah and maybe with my beloved horses. An old cowgirl just 60 and broken. 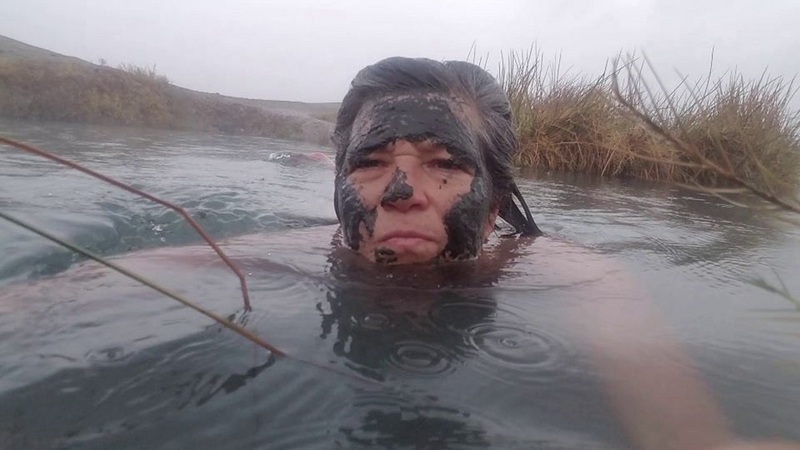 State wants my land to build a dam. I’ve lived here 30 yrs and they won’t be able to match my property with the money to build another without a mortgage. I can’t start over. Yeah it’s really sad. And we might cross paths. What will I do? Heaven only knows and your and Bobs videos have really become realistic to me. This is my destend. Working on getting an RV. Boy have I ran across some scammers out there. I’ll have some animals with me. Yep and horse traveling. I think you can stay at fairgrounds everywhere with your horses. But it going to be about a year or better. Be happy!!!! I too really look forward to reading your blogs. You and Bob have inspired me so much so that I now plan to purchase an RV. I have not decided on the size just yet!!! So for now, stay happy and wherever the wind blows…. just follow …. freedom is priceless!! Be safe be cautious enjoy your blessed life. I will contact both of you as soon as I am ready to get on the road!!! Thanks for sharing your journeys. I am learning a lot about RVing!!! I spent many days and nights camping and partying in the areas of Cottonwood, Jerome, Oak Creek Canyon & Sedona in the mid 70’s. The last time I was there was in 2005. 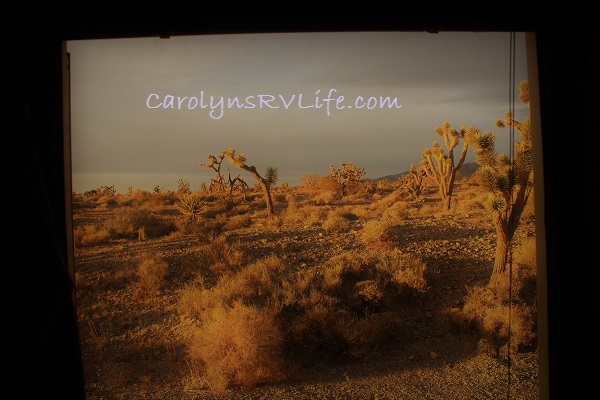 I am of course looking forward to visiting that area again, this time in my RV.. I imagine it has grown by leaps and bounds. One thing I remember was different the last few times I visited was the Chapel built in the mountains… (Chapel of the Holy Rock – Sedona).. used to be you could see for miles without seeing another building now there are homes scattered everywhere. And Sedona had grown big enough to have a McDonalds and other main stream places. Progress.. made me sad nonetheless. If you ever get a chance visit Bisbee, AZ. Absolutely my fave place. I saw Jerry Garcia there once. It was not a scheduled gig.. he just happened to be in the neighborhood. I think that was like 1976 maybe. ‘ish. Just a cool old place. Used to be a copper mining town and a place us hippies liked to hang out. Quaint, artsy and cool. 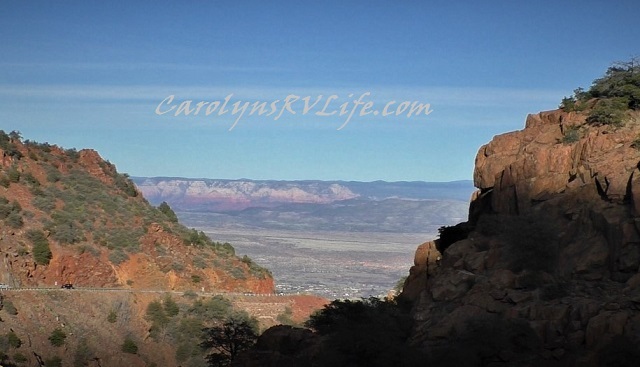 Kathy- there is so much I’d love to explore in the Cottonwood/ Sedona area! I think when I go next time, I will have to get in the backcountry, the tourism and crowds were too much for me. As I drove through Sedona and saw all the tourists, signs for jeep and helicopter tours (which are constant and noisy), I was overcome with sadness. The thought that came to me was, “We have made a mockery of this beautiful and spiritual place with all the commercialism”. It was profoundly troubling to me. So, yes, if I go back it will be to get away from the crowds and explore the backcountry! And I am grateful for all your kind words and encouragement. It means so much to hear from women (me too, but, especially women) who are inspired and motivated by watching my videos and being a part of my journey. I appreciate you very much! Glad you are safe. We are camped a few miles south of Cottonwood at the Thousand Trails park. Near the entrance to the park there is a large BLM area with boondockers scattered over what looks like at least 100 acres. However, it is probably warmer than you’d like down here. In a few days we’ll be traveling north toward the Monument Valley area. We really enjoy your Youtube channel. Perhaps we’ll cross paths one of these days. Safe travels. Roland, thanks for the info, it may come in handy next time I’m there… happy travels to you! We’re looking forward to talking with you and spending a few hours comparing your experience with ours; yours being within the last year and ours years ago. Watched you Sedona video today Carolyn. It was great! Love Sedona. If you are still there, check out the Sinagua ruin in the area. They are worth the drive on gravel roads, lots of pullouts on the way that I’ve seen RVs in on BLM land. Also petroglyphs on many of the canyons. There are several rivers worth hiking up. It’s a wonderful land to spend time and let it all sink in. I’ve heard great things about Sedona! Love the pictures here 🙂 We’ve had some similar experiences, where drive time gets doubled by rough terrain and campsite searching, glad to hear you finally made it! We were in Sedona in December 2004 for my 50th birthday and there were no helicopters. Not sure if it was the time of year or a business that hadn’t started up yet. Perhaps someone else knows? However, I agree with you wholeheartedly. We were in Milford Sound, NZ a few years ago. A beautiful, pristine wilderness environment that is TOTALLY ruined by helicopter tours. What should have been a quiet sanctuary of nature was not. Pretty much all I can remember of the place is how it has been ruined buy the constant whirr of helicopter noise. It is a sad reflection on today’s need to commercialize everything. Great story, thank you. There is a small campground at the bottom of the hill in Angel Valley on the right before the bridge that goes over Oak Creek. My wife and I were married there, in the creek. I personally have camped there maybe 100 times. Have a dog buried there. 29 ft may be a tight fit but it is pretty. If you follow the creek down a bit further, you would come across Sen John McCains property. Glad you’re there. I discovered your videos a couple of weeks ago and really enjoy following along on your courageous adventures and listening to your thoughtful words and good advice. 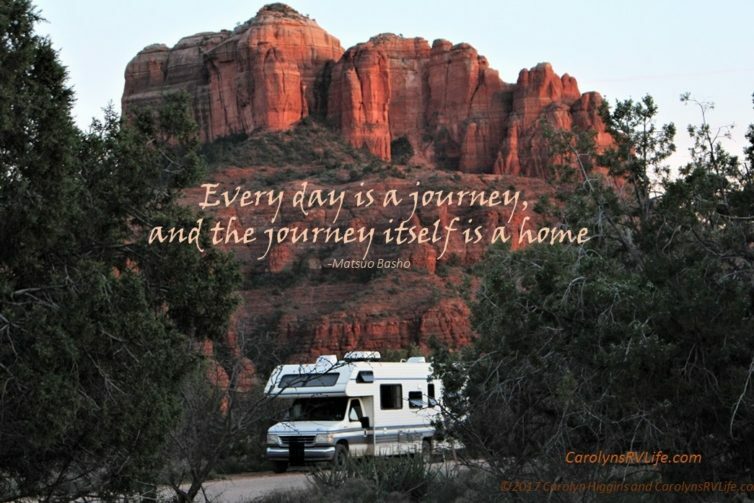 Thanks so much for sharing your amazing RvLife! Thank you soo much, Carolyn@ Be safe. Thank you DaleMarie – take care! Love your stories Carolyn, look forward to more. I live in Cottonwood and love it. I have happy feet and have spent lots of time on the road with my Mom who loves to travel too. She’s now in her 80’s and doesn’t go as much, but gave us her 93 Tioga motor home, a little smaller than yours. I love to travel more than my hubby, but I’m hoping we will start traveling more, thanks for yours and Bobs inspiration and ideas. If you decide to spend more time around Prescott, my hometown, look for Copper Basin road for some boondocking. Iron Springs road will take you to Skull Valley, which has a lot of ranch roads and forest service land. It’s probably off the RVers radar but such a lovely area. It’s warm but cooler than Cottonwood. I don’t follow you all the time…but I do think of you fondly every time I see a Big Old Matilda go by. If I had a baby Sister like you my life would be complete. You make my day when ever I read your blog or see one of your videos. I’m tickled pink knowing you haven’t given up RV’ing. I’m so proud of you for hanging in there and learning everything the hard way. You go girl, you rock. Wish sometimes I was there for you, looking over your shoulder, helping with small bits of wisdom I have learned over the years. Give Capone a big kiss on his nose for me and Happy Trails as Roy Rogers use to say. Joe, oh my gosh, what a sweet note. I’m humbled that you feel that way about my videos.. thank you so much, it means a lot!!! 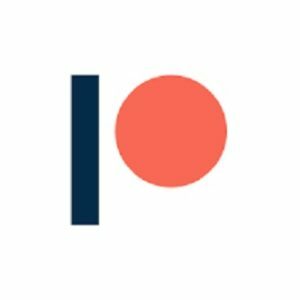 We have followed for YouTube channel, but did not know you had a blog too. You write beautifully. We were also in the Sedona area last April or so. Like you said, it was way too crowded, but I loved the scenery. Loved the hiking. Found the town of Rinrock. If I wanted to buy a house, it would be there. We camped on West Cherry Creek Road, near Camp Verde. Centrally located for everything in the area. And nice. Anyway! Just wanted to say hi, and tell you I love your videos and now you blog. Keep the: coming. Also love the music you sometimes add. Beautiful. Thank you so much. Eternabond tape remover , follow these instructions: Using a heat gun or a hair drier, heat up 2-4″ of the tape on one end. Grab a corner of the tape and pull on it. As you are pulling on the tape, cut the stretched EternaBond® with a razor blade, keeping it wet with water. I am so impressed by your videos & vlog! I will begin to support you if I get closer to the RV life. Right now I am still in the education phase having retired a year & a half ago. I own a villa in a Florida & live with my 3 cats. I’m renting a Class C van in a month or so to see how I like this life. I’m not ready to commit yet. But we’ll see. I pray that your grief of losing Capone will fade for you & I predict that you’ll find another rescue dog, because after all, who rescues whom? God bless you on this journey.